Most women I know, if they go fishing, don’t get dressed up and do their makeup before going out. That being said, I definitely appreciate the effort this gal did to look her best holding up that fish! We Nee More Hot Fishing Girls! Summer is coming and we need your hot fishing girl photos. 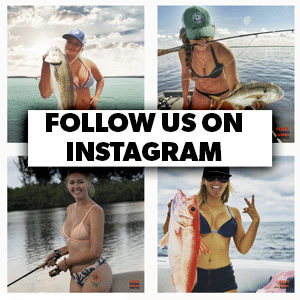 Take your gal out fishing and get a shot of her doing her thing (clothed or not) and send us over the photos! We get enough and maybe we will start a Fish-Bra competition!